AS A prelude to Indiaa��s celebration of 67 years of Independence, Shrutiyaan brings Ibadat a�� a concert in Sufi music, to the city with performances by Pranshu Chatur Lal and the Warsi Brothers. a�?I think of this as a platform that pays homage to the unknown soldiers who valiantly gave up their lives to keep our nation safe,a�? says Shruti Sood, founder of the organisation dedicated to keeping alive the contributions of Pandit Chatur Lal, one of the countrya��s first internationally acclaimed percussionists. Ibadat has been a staple in New Delhi for the past 10 years and Sood believes that the large presence of defence personnel in Bangalore also makes it an ideal location. a�?A lot of people here are fans of Pandit Chatur Lala��s music and have received performances by Pranshu Chatur Lal, his grandson, very well,a�? she shares. The concert, that will start with a surprise patriotic rendition, sees Pranshu mirror his grandfathera��s style through a percussion ensemble with both the tabla and Western drums. 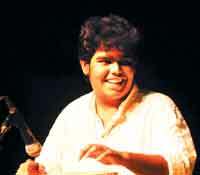 22-year-old Pranshu gave his first public performance aged seven under the tutelage of his grandfather and has performed around the world, including Carnegie Hall in New York. He has also played alongside legends like Pandit Hari Prasad Chaurasia and before the likes of Ustad Bismillah Khan and Ustad Amjad Ali Khan. 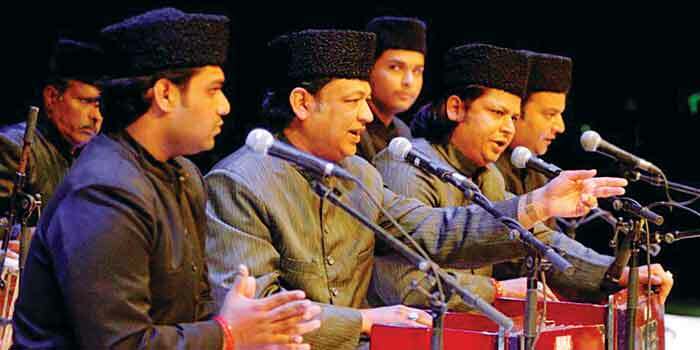 The evening will be rounded off by Hyderabadi qawwals, the Warsi Brothers, who received their training from Padmashri Aziz Ahmed Khan Warsi, their grandfather.